Growth: it’s every retailers goal. Whether it’s a small shop opening a second location across town or a big-box chain with stores numbering in the thousands, retailers of all stripes and sizes want their businesses to grow. 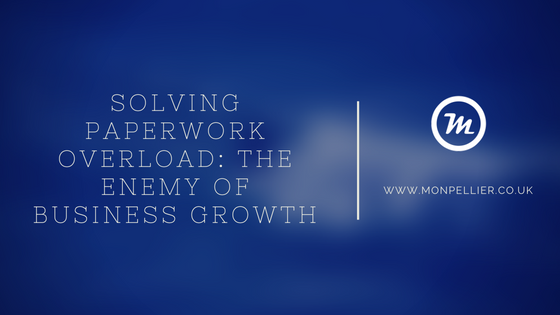 When it comes to expanding operations, EPOS solutions do much of the heavy lifting. But not all EPOS systems are created equal. There are key features and functionalities that particularly equip some EPOS systems to aid retailers on their path to growth and expansion – and an important feature is the ability for your EPOS system to integrate with your enterprise resource planning (ERP) system. When your business integrates its ERP program with an EPOS system, then you’re dealing with a horse of a different colour. Today’s customers want options in everything. From ecommerce stores to brick and mortar stores and even shopping opportunities on social media, the consumer is a mobile animal. Your business software must be able to keep up with the demands of your customers. It may be time to integrate EPOS capabilities with ERP functionalities. Even in traditional brick and mortar stores, an integrated EPOS/ERP system can keep them competitive by improving efficiency and providing them with a mobile presence to meet consumers’ changing demands. EPOS software completes your transactions on the spot. It isn’t dependent on a computer console but is fully functional on a tablet or phone and offers the ease of a touch-screen. It can calculate a sale, including tax and delivery charges, and adjust inventory. This makes your sales staff more efficient, improve sales (and possibly their commissions) and tracks inventory levels in real time. Integrating with the ERP means your front-office processes and your back-office operations can coordinate and play nicely together. With an integrated retail system in use, your business combines the front-end EPOS, inventory and stock management in the middle of the process, and accounting in the back-end. There may even be links with your supply chain partners. This means a streamlined process across all departments. Information at fingertips: An integrated mobile EPOS system provides sales staff with immediate access to information they need to effectively close the deal. Customer information and purchase history helps t hem make better recommendations, improving cross-sells and upsells. Options: By integrating a mobile EPOS system with your ERP platform, you give your customers the same experience online as they get in your store. You can offer such features as order online and pick up in store. Improved sales numbers: Integrating your mobile EPOS and ERP lets you close sales wherever you may be without the need for increased overhead associated with syncing customer information. Customer satisfaction: Your customers will appreciate the more personal service they get when your sales representatives have the information they need to help build deeper customer relationships. Inventory management: The back-office inventory control can let your front-office sales person know when an item is available in another store so you never miss a sale. You can also get alerts of potential problems, such as a product going out of stock. As with everything in life, there is usually a downside. The most glaring argument against incorporating ERP/EPOS into your business platform is cost. These systems can be expensive to implement. The counter argument is the old adage: you have to spend money to make money. Incorporating an integrated ERP/EPOS system can help take your business to the next level. With the many positives outweighing the cost outlay, smart business owners are getting on board with ERP/EPOS systems of their own. Open-platform EPOS systems offer many benefits and advantages for growing retailers, but one of the biggest is that an open API allows developers to integrate your EPOS and your ERP systems. ERP-agnostic EPOS systems enable data exchanged automatically among all store systems and applications, including accounting, inventory, ecommerce, promotions and CRM. This integration eliminates having to re-enter data, which is time-consuming and error prone. With integrated EPOS and ERP at the core of retail IT, your store systems can integrate easily with third-party solutions. After all, no retailer wants to be left behind when competitors are getting ahead by adopting new tech as people-counting software that offers critical data on store traffic or digital signage that engages shoppers with bright displays on product information, promotions, videos and other content. And you want to be prepared for advances in technology that are around the corner such as augmented reality and virtual reality applications for brand immersion experiences. In essence, an EPOS platform with an open API ensures your system is future-proof and can accommodate new directions your business may take. An EPOS system that is truly scalable is designed for whatever your business needs will be tomorrow. Is your EPOS solution rigid or flexible? How often do you find yourself saying “I wish my EPOS could…?” Unfortunately, some EPOS platforms were built with a ‘walled garden’ approach. Truly scalable EPOS, however, lets retailers get their hands on the code and tweak it to their specifications when needed. Every retailer is different and as much as off-the-shelf EPOS software tries to accommodate all, many businesses demand a certain level of customisation in order to truly manage the nuances of their specific vertical, whether that’s the optical industry or the restaurant world. Truly scalable EPOS doesn’t hold you back from what you want it to do. When you purchased your EPOS software, it’s entirely possible that mobile EPOS wasn’t a staple yet in retail. But now that handheld devices are downright commonplace among frontline retail store staff, you’re probably considering adding mobile EPOS to your operations. As retail continues to move towards a customer-centric approach, it’s increasingly important for sales-floor staff to have EPOS functionality at their fingertips. The question is, however, does your entire IT system support mobility? Truly scalable EPOS, which integrates with your ERP system, can accommodate new modules and functionality, such as putting the software onto small form-factor devices and enabling sales associates to access customer data, update inventory from mobile EPOS, and conduct payment transactions that are automatically shared with the accounting program. Maybe the next step for your business is as simple as incorporating additional EPOS terminals or onboarding new users. Or perhaps you have big plans to expand into new areas or even grow internationally. Working with a scalable EPOS system made possible by integrated EPOS and ERP makes all of this a straightforward, painless process. No matter how big or small your plans are, a purpose-built platform can scale along with you. 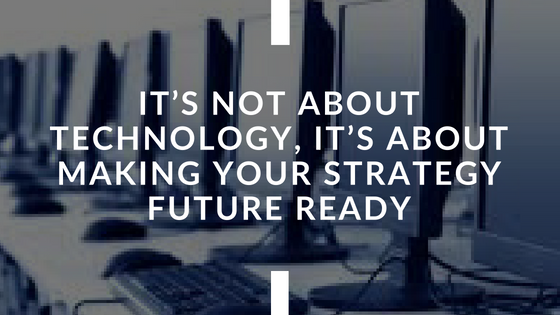 When considering an investment in new technology, be sure that the software meets your needs today – and is feature-rich to exceed your demands tomorrow. Insist on an ERP-agnostic, scalable EPOS system that will enable you to build a unified, powerful retail management system, positioning your business for growth and competitiveness in a fast-changing environment. 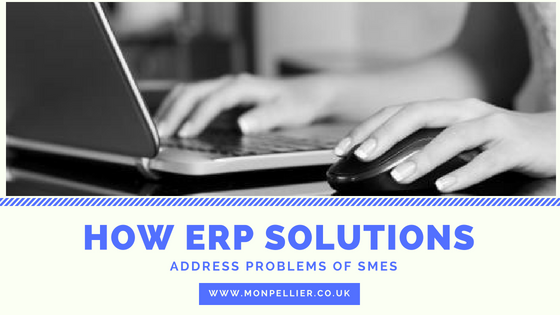 For any help and advice regarding either EPOS or ERP systems, we at Monpellier are here to help, so either contact us here, or give us a call on 0191 500 8150 and speak to a Business Software Consultant. In today’s globalised world, SMEs in manufacturing are grappling with many challenges to remain competitive and relevant. With limited time, resources, skills and budget, there is a growing need to demonstrate and derive value from every investment made. Many SMEs in manufacturing may not know the value of technology in addressing some of these challenges. Those that do usually worry about the enormous costs of acquiring and running these technologies. Poor decision making in IT investments can have a critical impact on the profitability and sustainability of any business. In reality, some of these businesses may be making money. So why do they need to invest in automating processes? If as a business owner you want to save time, accelerate your response time to problems and customer queries, plan ahead with real-time data, mitigate wastage and keep the frown lines off your brow, then you definitely need to automate your business processes. A good way to do this for SME manufacturers is deploying an ERP solution. Let us take a step back and look at all the processes that are central to running a business such as purchasing, production, marketing, invoicing, managing inventory, human resource management, customer relations management, accounting and more. At the basic level, ERP integrates all of these processes into one seamless system giving you real-time information which is a necessity to survive cut-throat midmarket competition. It also means boosting your sales and customer satisfaction rate by having real-time data and avoiding delays spent scouting for scattered records. Further, it increases business intelligence support for quick, dynamic decisions and adjustments whenever necessary. Having too many software solutions for different processes can add to the bureaucracy of management in the crucial growing years. 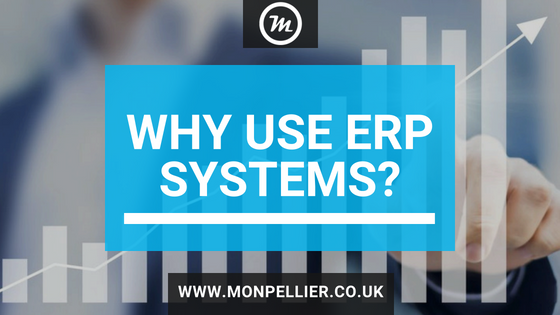 ERP systems help to centralise all of these processes. Did you know that SME businesses hold over 95% of the market and regulate 70% of employment? However, only 50% of businesses survive in the market and the rest just don’t remain in the competition and are shut down. The recent era of advanced technology has drawn the attention of customers towards better quality and more innovative plus customer-centric products. Therefore, more and more manufacturers are now moving towards ERP implementation for automating their business. With an ERP, small businesses can focus on core business operations and its productivity that helps to improve profit margins and reduce operational costs. A competitive edge is achieved by streamlining and automating day-to-day activities. Let’s take a look at the five most common problems an SME faces, and how an ERP solution can help to address them. Small businesses rely on manual data entries and get stuck in manual data logging methods. Manual entries may lead to data redundancy and time wastage. Also, human negligence results in unsuccessful data keeping. But an ERP integrates all information into a single system which provides business immediate access to key data like financials, sales forecasts, purchase activities and inventory levels, thus, providing a holistic view of your business operations. With an ERP, you get increased accuracy, information empowerment and improvement in the overall health of your business. Competition is everywhere and businesses – small or big – are under it’s impact. Due to unavailability of all resources and tools and unplanned strategies in the business process, small businesses lack this advantage. They need specialised tools to deal with big businesses and maintain a place in the marketplace. 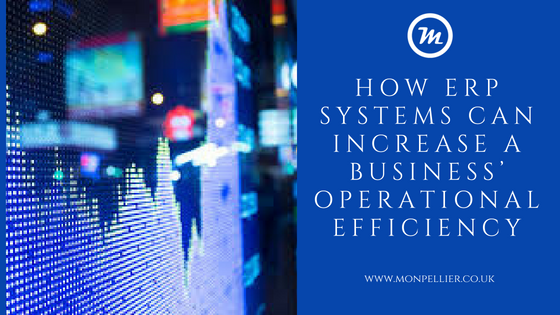 An ERP provides important information related to reduction in operational and administrative costs. Also, an ERP helps to monitor and control business operations to execute business plans effectively. With an ERP, you get better decision making, streamlining of overall business activities, improvement in quality, customer retention and cost reduction. For every manufacturing business, effective scheduling is the most important key to inculcate better scheduling when data is the tool. In absence of real-time data, a lot of time is spent in preparing schedules for the shop floor which are erroneous too. With an ERP, you get real-time analysis of demand and supply of the materials, efficient production plans based on demand, supply, resource availability, various lead times, and accurate procurement plans eliminating the chance of over or under supply. Taking care of customer satisfaction is a prime factor to develop a long-lasting business. Showing customers a caring approach could help you in your business growth, but what if you fail your deliveries or do not respond back to customer queries? Your business will lose customers and eventually you will notice a reduction in your sales. ERP helps in providing instant access to get your sales staff which helps them in making true commitments that can be fulfilled in the specified time genre. With an ERP, you get instant information access for your customers about accurate updates and deliveries of the product item, resolution to all customer queries by gaining real-time access to the data and information regarding cancellations of refund procedures. For every business, meeting quality and statutory guidelines is necessary. A compliant business can keep the risk of fines, penalties and lawsuits to function smoothly. However, the small businesses find it difficult to meet the regulatory needs. 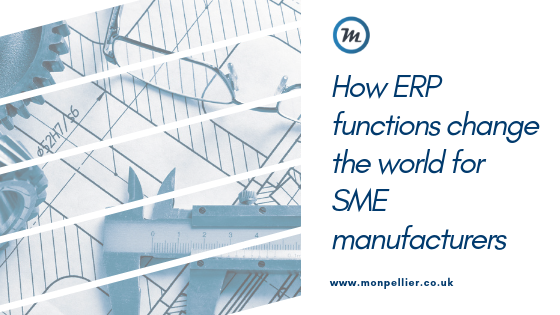 An ERP helps by providing visibility to the entire product flow, starting from material receipt, production process to the supply of finished goods, helping manufacturers to track the product across the supply chain. With an ERP, you get quick report generation of all materials and their details, bi-directional traceability of products starting from raw material. Intermediates to finished goods, easy tracking of faulty materials and production tracking on multiple parameters. decision with no surety of its aptness. the use of manual data logging methods. levels that help in controlling costs. manipulations or misuse is quite high. and unmanaged supply chain cycle. by integrating all business processes. Take your business decisions wisely considering all the pros and cons of the output. Be consistent and stick to your business routines. Implement an ERP software to manage all your day to day operations. Make innovation your company value. Manage your employees at every level. Regularly share information within all the departments. Understand market requirements and gather information accordingly to create strategy. Never ignore the sales performance calculations. Analyse the past pitfalls and plan a strategy to never repeat them again. To grow your business, implement an ERP and ditch those primitive business methods that deliver the same output. We, at Monpellier, understand all your business needs and help you integrate all your business processes under one platform. We can help you meet all the challenging trends through faster innovation, better compliance, effective planning, controlled costs, reduced wastage and more. So, what are you waiting for? Get in contact with us here today to organise a free business consultation and demonstration, or give us a call on 0191 500 8150 to speak to a Business Software Consultant. 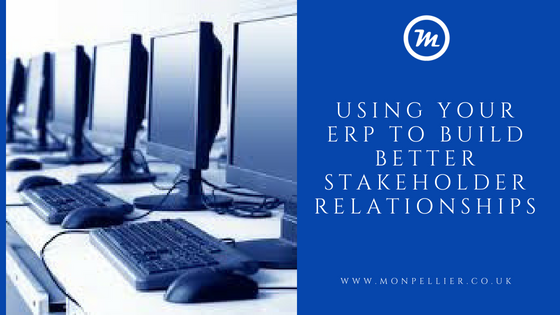 Any ERP system, at its core, is a collection of applications that perform tasks related to verticals like finance management, inventory management, human resource management and more. 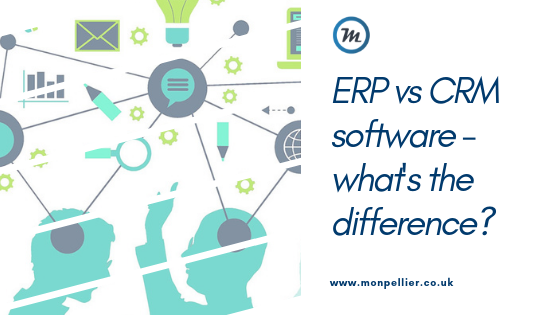 Due to the seemingly generic nature of ERP software, some organisations rely on systems that operate on a common platform, and are supposed to cater to the needs of different industries. Why does the one-size-fit-all trend exist? Many best practices are common across industries. Some ERP vendors develop and market their application suites basing them on these standards. Key benefits are that it’s less expensive for a vendor to develop a generic system and they will likely benefit from volumes. Unfortunately, a one-size-fits-all ERP software suite is rarely sufficiently reliable because the applications are simply not designed keeping in mind individual, organisational requirements. Some applications may not be suited to handle the unique needs of an organisation at all, and even those that may be are unlikely to uncover all your core business processes and will, therefore be fragmented and inefficient. Ultimately, it’s a case of wasted resources, time and money. 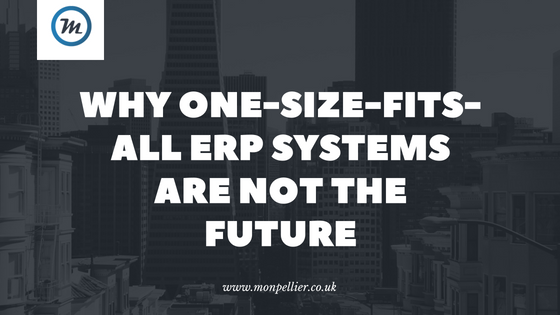 We’d go so far as to say continued reliance on a one-size-fits-all ERP system can be very bad for business. A generic ERP tool can restrict your organisation’s workflow and slow down growth and innovation. Problems can surface when it’s time to scale up and diversify. A tool offering a blanket solution is rigid and hampers progress because it cannot support the agility most businesses need to help them grow. While picking specifics up front might seem like a daunting task, making the right ERP choice to suit your specific needs doesn’t need to be hard. We’ve said this many times before, and we’ll reiterate it, start any selection process with careful deliberation to avoid the risks associated with a generic tool. If your organisation is clear about its goals, that’s a good first step. While choosing an ERP solution, establish the capabilities of the product as well as the solution provider. Make sure the tool offers most of what you require out of the box. This translates to reduced customisation later. Ensure your ERP vendor has experienced delivering ERP solutions specific to your industry. A vendor who has provided ERP solutions for the manufacturing industry, for instance, understands the unique requirements of the industry better than a company that has a solution geared to manufacturing that they offer to customise. An industry specific tool is more likely to accomplish a task using fewer resources and in less time than a -one-size-fits-all tool. It will also require little or no customisation before it can be deployed. When your organisation grows, an industry-specific solution will be able to handle changes with greater efficiency. This makes your job easier and less time-consuming. In comparison, a generic tool can slow your organisation down to a crawl. Sometimes, even when it’s tailored to your requirements, the heavy customisation in itself can become a bottleneck. 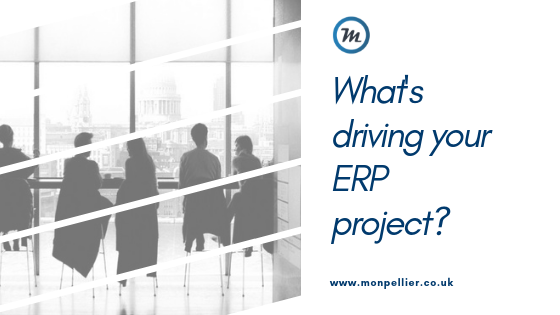 Choosing a suitable ERP solution and deploying it requires the guidance of experts who are familiar with integration and change management, but how to you determine when your business is ready for a new ERP system? Are your current systems able to connect all departments in all locations? 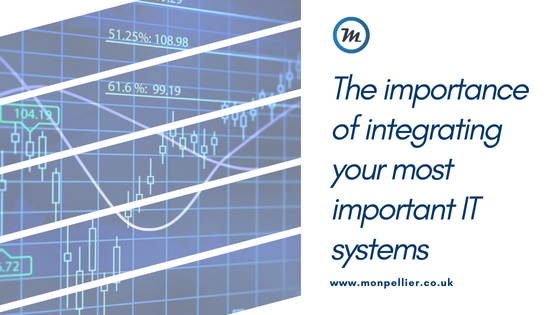 Are all of your current business systems fully integrated or do you find that each department is functioning within a silo? What may have worked in the past when your company first started, consisting of only a handful of employees all working out of the same location, may no longer fit the bill. If your business has grown and now you have multiple locations, with multiple systems and limited integration, it becomes increasingly difficult to work effectively as a team. ERP software is designed to help the flow of internal business processes and allow for communication between the various business departments and their internal functions and data. Are your processes consistent across the business? Along with having software systems that are fully integrated, a successful, growing organisation needs to have consistent processes across the business. As your organisation has grown, it may have accumulated and adopted a wide range of work practices and procedures. Moving to a global set of standards will help your business work more efficiently. An ERP system can support this move and ease the adoption of processes across the business. Are your staff spending time on manual processes that could (and should) be automated? Do they have to call or email each other to determine stock availability or to track customer orders? Are you missing sales because it takes too long to get an accurate reading on your inventory? 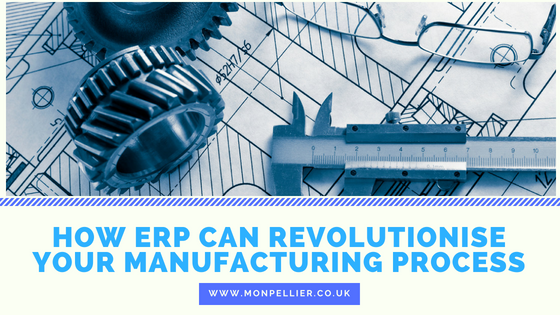 ERP systems can increase productivity by automating processes and providing consistent information on orders, sales and inventory. Are your staff in sync? How many times has this happened: sales have sold more stock than you have; sales blames operations for not having enough inventory, and operations blames sales for over-selling and not informing them soon enough? This leads to unhappy customers, lost sales, and frustration among your employees. This type of disconnect is one of the major reasons why businesses need an ERP solution. Are your reports accurate and reliable? If it is taking consistently more time to check and reconcile the number within your business, then it is taking longer to make important business decisions. ERP systems provide real-time insight into the state of your financials, so you can make better business decisions faster. It takes some introspection to determine your company’s readiness for an ERP. However, knowing that your business is ready for an ERP system helps make the investment more palatable, and the transition smoother. For more information on other advantages of using an ERP, how your company can benefit from this software, and how to get assistance in picking an ERP system that is right for your business needs, contact us here, or call us on 0191 500 8150 to speak to one of our Business Software Consultants. Imagine this situation: your family needs a second car because one vehicle just can’t get everyone where they need to go. So, you undertake the extensive research and finally decide upon a fuel efficient yet powerful model. You decide the best way to inform your other family members of this purchase is by surprising them with the keys. However, the one thing you don’t do is give them the owner’s manual. Maybe they don’t know how to drive, or they’re not familiar with how this model works. In any event, the fantastic new car sits in the driveway. You’re bewildered – why isn’t anyone using it? Now replace ‘car’ with ‘ERP system’. When no one knows how to use your new ERP system, it will remain under or unutilised, no matter how user-friendly it’s supposed to be. Read on to learn why providing end user training for ERP systems is a crucial part of your implementation. You won’t use it if you don’t know what you’re doing. We’ll go back to the example of the new car purchase. Maybe your family members understand that the purchase of the car is important because it will help them get to where they need to go faster, but if they don’t understand how to operate the vehicle, they can’t use it. Perhaps some of them don’t believe they need a car in the first place – maybe they’ve got a bike or they rely on the bus. Why do they need a new car? End user training for an ERP system solves that problem. It teaches users how to use the system and explains why it’s important. 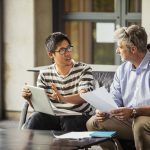 Your employees might be using workarounds now that they believe makes their jobs more efficient or easier, though that’s because they’ve never had a solution that works as well as an ERP system. 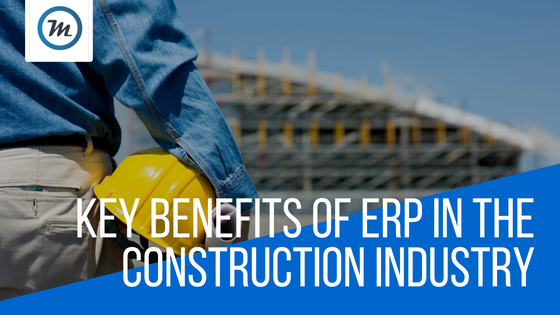 When your employees understand how to use an ERP system, they’ll gain insight into how it helps them carry out their jobs. The example of the car purchase works in this case because of the principle of ROI. 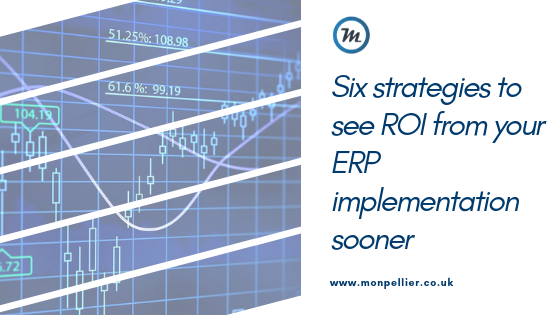 If your employees aren’t utilising an ERP system because they don’t understand it, or they don’t see the need for it, you’re not going to see very much (or any) ROI on this technology. How upset would you be if you saw a beautiful new car sitting on your driveway, its internal workings becoming gummed up due to lack of use? While your ERP system won’t experience the same problems because no one is using it, it will be the same waste of money. 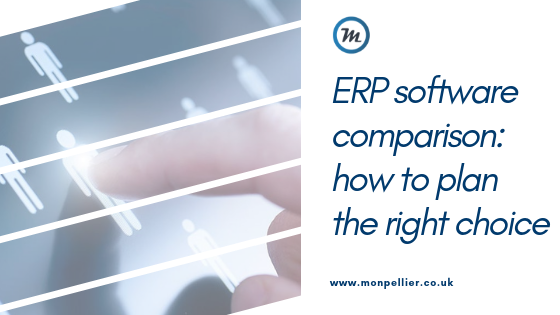 There are some business leaders who believe that their employees are capable enough to figure out how to use an ERP system on their own without needing any kind of training. That mindset is costly. 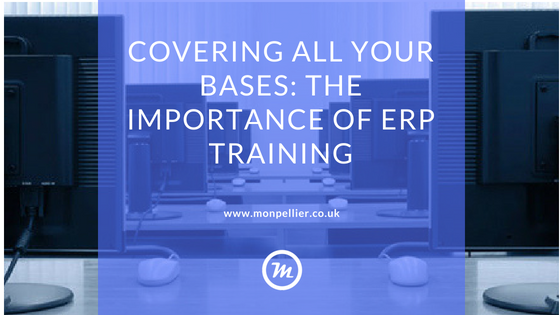 Even the most user-friendly ERP system requires some user training to ensure that they understand how it works. Don’t look at end user training as an unnecessary cost. 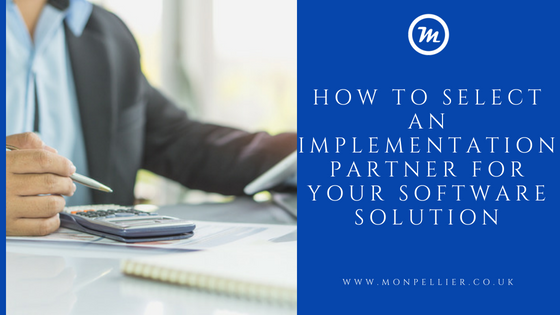 It’s the last step in your ERP implementation and arguably one of the most important. As you can see from the above, ERP training should be one of the top priorities when planning an ERP implementation. Before the implementation even begins, training should be outlined and planned, and some training should be started. As the implementation progresses, so should the training, and it should continue even after the implementation is complete. Many organisations believe that users will adapt to the system after it’s in place, and therefore, training doesn’t need to be such a high priority. Consider this: more than half of the organisations that believe users will adapt with a minimum of training end up with an ERP system that is underused and, in some cases, fails completely. Training is considered one of the top five most important factors for achieving ERP implementation success. By some estimates, well-trained ERP users reach required skill levels in about a quarter of the time it takes users who have received only minimal training – if the less trained users ever actually get to full proficiency. In most cases, those users who are not trained well will use only the most basic aspects of the system and default to the more manual processes with which they’re more comfortable. 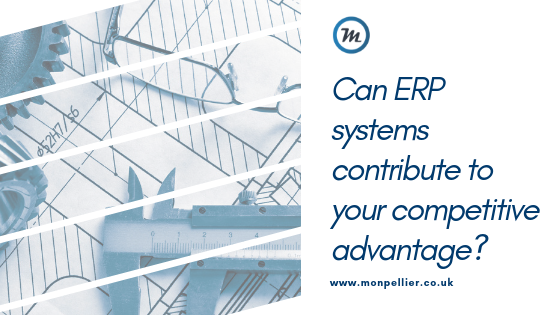 Well-trained ERP users, however, are sometimes as much as five times more productive and capable of gaining all the value the system has to offer. Remember those lesser-trained users who revert to the old way of doing things? Those users are costing the organisation far more than what the company would have paid to train those users, because manual processes are more time-consuming, and undertrained users could waste a lot of time getting help from peers or help desk personnel. 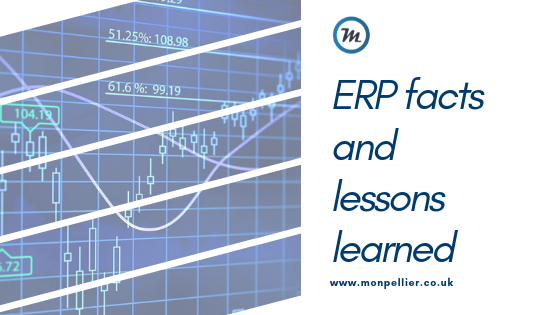 Training users to take full advantage of an ERP system with a minimal amount of help, however, can help them be more proficient and more effective at tasks, freeing them – and those who may have been stuck helping them – to spend time on higher-value activities. We’ve already established that users who don’t receive sufficient training often revert to the old manual processes. Unfortunately, those processes often riddled with mistakes. To compound the problem, when some users or processes are on the old system and others are on the new system, data tends to be degraded, duplicated or just plain wrong. Training helps ensure that all users are using the same data, and it reduces the risk of human error in processes that can be automated. The result is better-quality data and processes with less likelihood of incorrect or duplicated data instances, which improves quality overall. The stress level of users who are poorly trained is often cited as the reason those employees move on to another job. That presents two problems. First the knowledge existing employees take with them can be invaluable; second, new employees must now be trained. Users who don’t have proper training will reject the ERP system, creating a vicious cycle that often leads to employee attrition. In contrast, great training helps employees feel competent and valuable. They may enjoy their jobs more and are less likely to see greener pastures with other organisations. Even though it’s common knowledge that ERP training is essential, many organisations still wait until the last minute to consider a training program. That strategy could lead to failure of the ERP system at worst, and unhappy employees at best. Put a training plan in place early. It’s the one way to be sure you’re getting the most from your ERP system. For more information about support and training for your ERP system, get in touch with us here, or give us a call on 0191 500 8150 to speak to one of our friendly Business Software Consultants.